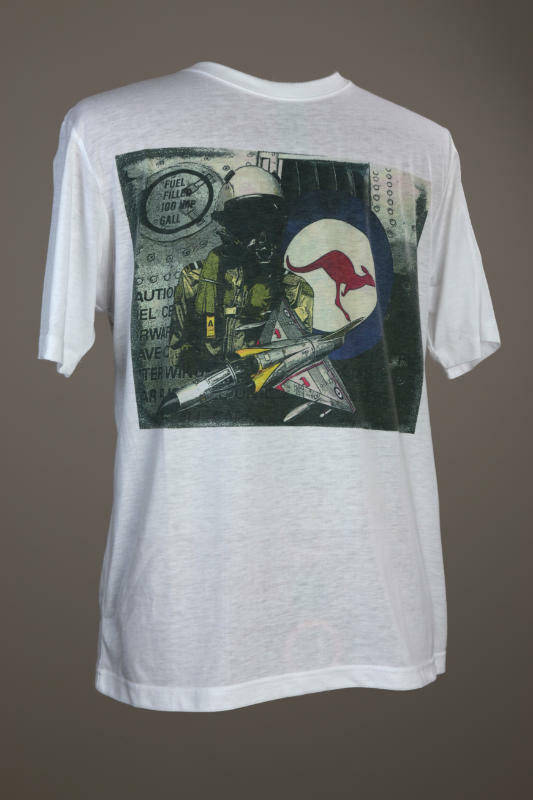 A montage of 70’s / 80’s fighter pilot iconography featuring Australia’s period front-line fighter the Dassault Mirage III. The shirt is a 160 GSM 100% Combed Ringspun Cotton shirt that offers extreme comfort and wearability. This garment is not officially endorsed, approved or licensed by any rights holder. Any logo or graphic device that is featured is employed in a purely decorative manner and is not intended to imply a source of origin.